Ask A Pump Hill MARKET EXPERT! DESCRIPTION Pull into this beautiful Urban Retreat located in prestigious Pumphill with manicured grounds and surrounded by approx. 50 beautiful trees including towering Spruce. At the end of the road is your one of a kind Bungalow with over 7700 sq feet of developed living area. After a hard days work, grab your favorite beverage and head outside to your in- ground swimming pool surrounded with relaxing fountains. The Open Beam ceilings, beautiful stone fireplace and unique staircase leading to the basement, is a main focus of the room as you enter through the front door. The gourmet kitchen will satisfy any " wanna-be chef " with tons of prep space and top of the line appliances. Marble floors and woodwork throughout. The lower level has a media and rec area, bar area, separate wine cellar and an additional 3 bedrooms. This home has had many upgrades over the past several years including Baths, Kitchen, Sub Zero Fridge, Fischer Paykel Dishwasher, windows, siding and many more. 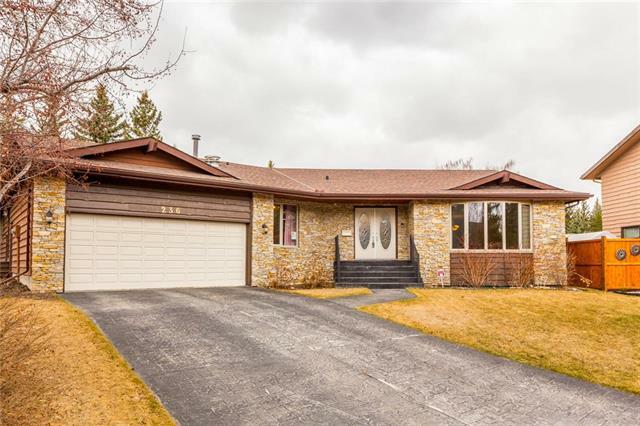 1520 96 AV Sw, Calgary, Alberta, MLS® C4223633 t2v 5e5 is a Detached, 5 bedrooms, 6 bathrooms, approximately 4,047 Sq. Ft. Listing price 2,495,000.00. This property was built in 1973.